Laminate flooring is highly resistant to wear, stains and fading. One caveat: Laminate floors are very reactive to water. While most laminate floors are impervious to surface spills, do not allow any liquid to sit too long. 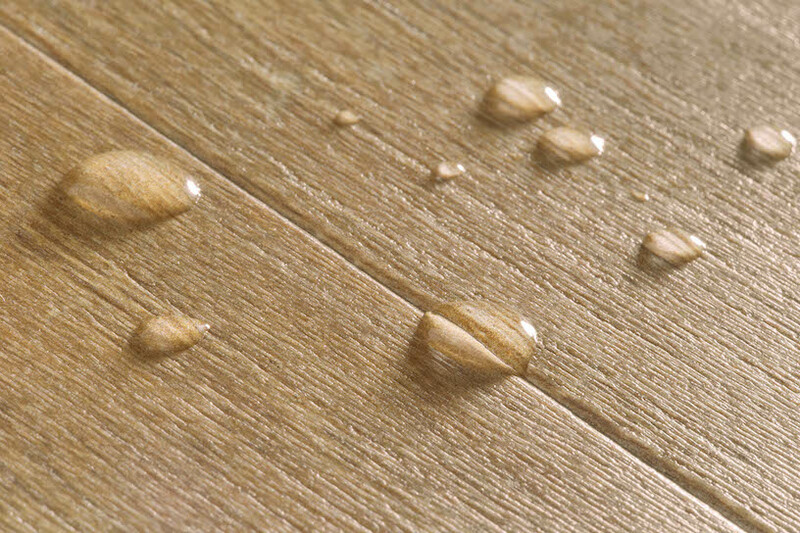 Laminate manufacturers have addressed this moisture issue in two primary ways. First is through special underlayments and moisture barriers. These are especially useful when it is installed below grade or over concrete slabs. Second, are special treatments that seal the edges of the floor. Most of these treatments work quite well. Laminate is particularly vulnerable if water spreads to the edge of the floor where it can seep into the high-density fiberboard core and cause swelling. While the new edge treatments do prevent seepage into the core, the simple fact is that sometimes the last laminate board (that one that completes the installation) may have to be cut to fit your space. If that is the case, the high-density fiberboard core is unprotected along its cut edge, making it vulnerable to moisture. Otherwise, performance and cleaning should be a breeze. There are some cleaning products made specifically for laminate floor care and are highly recommended but regular household cleaners can be used as long as they are not too harsh. A more frequent dust-mopping or vacuuming schedule may be required in very sandy areas such as a beach home. Sand is extremely abrasive and can harm the finish of even a laminate floor. Do not flood the floor with water. Do not use soap-, water- or oil-based detergents. This could cause swelling, warping, delamination and joint-line separation, and void the warranty. Do not use abrasive cleaners, steel wool, scouring powder or strong ammonia or chlorine type cleaners. Do not wax, polish, sand or lacquer your laminate floor. Do not let spills linger. Remove them promptly. Use a damp cloth to blot up spills as soon as they occur. Protect your floor from heavy furniture. 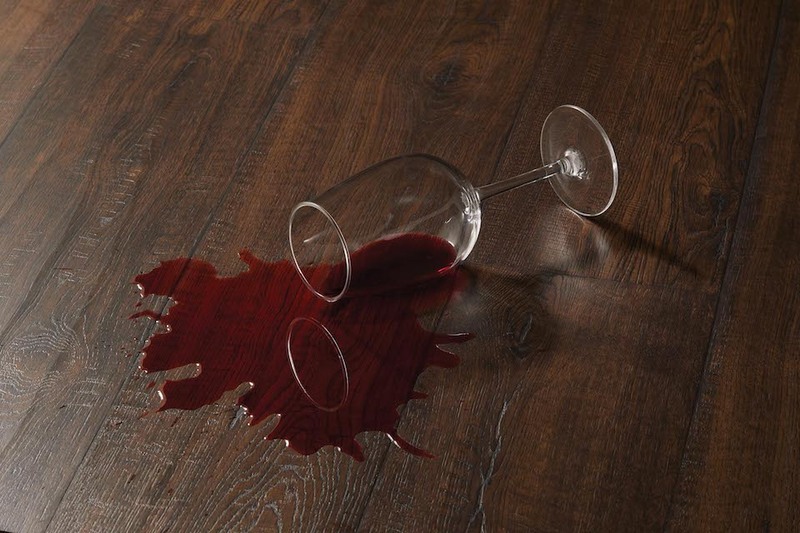 Use non-staining floor protectors, such as clear, hard plastic or felt protectors. Doormats are a simple way to prevent dirt, sand, grit and other substances from being tracked into your home and will help protect your floor.